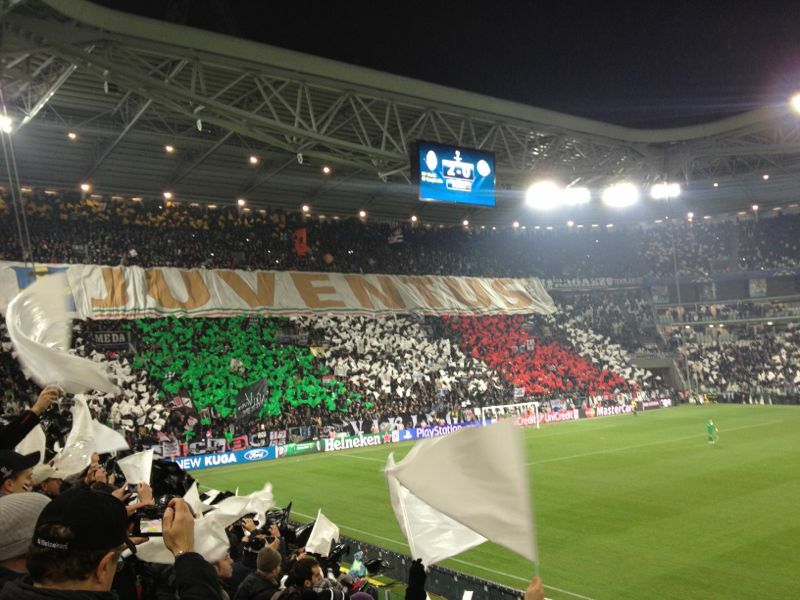 Last Wednesday’s impressive 2 – 0 victory over Lazio in Rome ensured Juventus took a great stride towards retaining their Serie A Title, the Bianconeri can take another step with a win against A.C. Milan on Sunday, April 21th. Juventus showed their character in abundance with the win against fifth placed Lazio, particularly after the disappointment of their Champions League elimination the previous week against Bayern Munich. They are a colossal eleven points clear of nearest challengers Napoli at the top of Serie A, and fifteen points ahead of this weekend’s opponents A.C. Milan. The points difference means that the Bianconeri can clinch their twenty-ninth Serie A title with seven points gained from their last six matches, they will be aiming to claim three of them against A.C. Milan in Turin this Sunday. Juventus will be looking to avenge their 1-0 defeat to A.C. Milan in the San Siro back in November, when a controversial penalty converted by Brazilian Robinho was the difference between the two teams. The Turin giants will have Chile International Arturo Vidal looking to continue his good form, as well as other goal threats Mirko Vucinic and Alessandro Matri, along with the evergreen former A.C. Milan star Andrea Pirlo. A.C. Milan travel to Turin on the back of two successive draws against Fiorentina and second placed Napoli respectively, in addition the Rossoneri are also without their mercurial striker Mario Balotelli who is serving the second of his three match suspension. The Milanese will therefore be relying on sixteen goal Stephan El Shaarawy and thirteen goal striker Giampaolo Pazzini to help them achieve the league double over their Turin rivals, and also closing the four point gap on Napoli as a consequence.